I'm not usually a fan of having whole entire people on book covers. Especially when they're on the photo realistic side of things. But I have to say, I like all three of these covers just fine. Something to do with the defiance on their faces and how they look very much as though they're inhabiting who they are, if that makes any sense at all. The titles are a bit of awesome as well, and I'm just very excited to give each one a whirl. 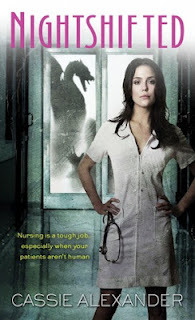 Edie Spencer works on the secret ward of the county hospital. The one they don't want you to know about. The paranormal ward. She thinks she's got the hang of it when a vampire dies on her shift. All hell breaks loose--literally. I am in the mood for some great, new urban fantasy, and I just think this one's going to be right up my alley. Brand spankin' new scifi from Garth Nix? Heck, yeah! The day Khemri is declared a prince is the day his life becomes permanently endangered. On a mission across space, he must simultaneously train to be a prince while fighting to stay alive from other princes who are trying to kill him. In other words, spacey goodness. Escaping an intolerable arranged marriage, Ismae finds safety within a convent's walls. But life seems to hold an even more dangerous fate for her than marriage. 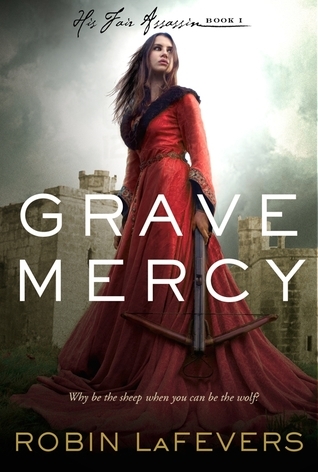 Trained as an assassin, she must hone her new found gift at the expense of the lives of others. This one is giving me a bit of a Graceling vibe. Which clearly means it must be mine yesterday. Gaby, doesn't Grave Mercy look AWESOME?! And I can vouch for Nix. He's great. *GASP*! 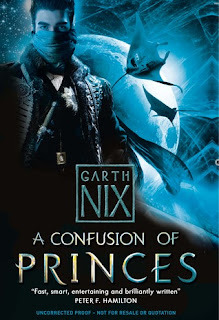 New, Garth Nix! *grabby hands*. I am excited. Now I'm off to go look up more about it! Janice, I know! Go forth and grab. I want all three of these!! Lin, as do I. I'm getting very excited for these spring releases. I haven't heard of any of these yet, but the Nightshifted one intrigues me with the creature behind the door! Isn't that a great touch? I love it. A new Garth Nix? I am there. Really looking forward to reading the latest from Garth Nix! It looks promising. I think so, too. Love a promising new scifi. A NEW Garth Nix?! Wow. Oh wow! I think I'm most looking forward to Nightshifted - it sounds like it may have some good potential! But of course the Garth Nix is a must-read also. Kim, so much potential. And I really am in the mood for some awesome straight-up urban fantasy. Found your blog on Author E.M.S....wanted to stop to look around.